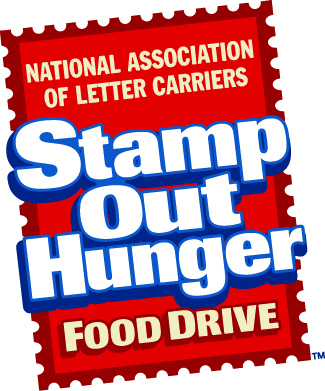 The 27th annual Letter Carriers’ Stamp Out Hunger® Food Drive is on Saturday, May 11, 2019. A number of volunteer opportunities are available and we would love to have you join us for this amazing day! Duties: Help set up for dinner, serve food, engage participants in conversation and help with clean up. Volunteers are welcome to enjoy dinner and the nutrition topic presentation. Skills Needed: Willingness to engage with participants. Ability to speak & read Spanish is especially helpful but not required. Minimum Age: 15 or at least 12 and in the company of an adult. Time Commitment: Flexible, prefer 2.5 – 5 hours a month. Dinners typically run for 1.5 hours but volunteers arrive early for set up and stay late for tear down. Volunteer shift is 2-2.5 hours. Evening Hours. Ability and willingness to be physically active, have an interest in working with people and perform light to moderate lifting. Spanish speaking abilities are helpful but not required. Must be 15 years old or a min. of 12 and in the company of an adult. Flexible, prefer 3 hours per week for at least three months. Available Shifts: Mondays, Tuesdays & Fridays – 9:00 – 12:00, 11:30 – 2:30 or 2:00 – 5:00 pm, Wednesdays – 11:30 – 2:30 or 2:00 – 5:00 pm, Thursdays – 9:00 – 12:00, 11:30 – 2:30, 2:00 – 5:00 or 3:30 – 6:30 pm. Training Provided. Make a difference in a child’s life by leading activities, assisting with homework and providing children in our housing sites with a stable presence. The Children’s Program is an after school program and operates on weekdays from 3:30 – 5:30 pm during the school year and from 2:30 – 4:30 during summer. The program takes place at our housing sites throughout the county. Boulder Marine program is on Tuesdays & Thursdays and Boulder Yarmouth program is on Fridays. Lafayette program is on Tuesdays & Fridays, Longmont program is on Mondays & Wednesdays and Louisville program is on Wednesdays. Must be creative, flexible, responsible and enjoy kids of all ages. Must be at least 15 years old and those 18 years & older will be required to complete a background check. 2-4 hours per week for at least six months. Coordinating groups to collect and deliver items needed for the food market. Superior organizational skills, good communication and leadership. Flexible hours, possibility of working from home. Contact Liz@nullefaa.org for more information. Please complete our online Volunteer Application Form and then plan to attend an upcoming orientation. New Volunteer Orientations are on alternate Wednesdays from 4:00 – 5:00 pm at our main office, 1575 Yarmouth Ave. in Boulder. You will receive additional information about upcoming orientations, including dates and how to schedule yourself, after completing our volunteer application form. Orientations are on the following dates: 1/16, 1/30, 2/13, 2/27, 3/13, 3/27, 4/10, 4/24, 5/8, 5/22, 6/5, 6/19, 7/10, 7/24, 8/7, 8/21, 9/4, 9/18, 10/2, 10/16. Welcome to our online resource for scheduling volunteer shifts, updating personal information and/or posting your volunteer hours.